Do you want to save on your 2019 dream vacation? Book now and you'll get up to 5% discount for your fantastic holiday in one of Baia Holiday's hospitality facilities, located in the most beautiful places in Italy and Croatia. Down payment 25% + Booking fee as confirmation of booking and balance by 28.02.2019. Cumulative Offer with Promotion INTRODUCE A FRIEND. 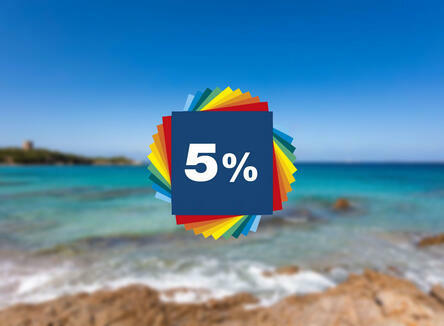 The 5% discount is applied to units and people. Promotion valid for all accommodations except Clever, Sunlodge, Mobile Home I.